Often electronic pet containment systems and electronic training collars generically are referred to as “shock” collars. This is not an accurate description of the way the electronic containment systems function and biases public opinion about the devices preventing careful consideration of the value and the costs of using these systems for animal welfare. “At low levels, the term “shock” is hardly fitting to describe the effects produced by electronic training collars, since there is virtually no effect beyond a pulsing, tingling or tickling sensation on the surface of the skin. The word “shock” is loaded with biased connotations” (Lindsay, 2005). Electronic collars utilise electronic stimulation (ES) not electric shock. ES is the artificial stimulation of a living tissue by means of an electric field or current (IEC). The ES delivered by modern electronic collars is transcutaneous electrical nerve stimulation (TENS), which artificially stimulates nerves and sensory receptors. TENS has no injurious consequences and is often used to manage chronic pain in humans. Typically the ES travels through tissue between two electrical contact points, which are applied to the skin. The ES is contained to the skin and superficial tissues when the contact points are less than 60mm apart The ECMA (Electronic Collar Manufacturers Association) Technical Requirement states that these skin contacts must be less than 60mm apart confining the ES to the skin and superficial tissues of the ventral neck. The ES works by activation of local skin receptors called nociceptors. These normally detect pain and convert pressure, chemical signals or thermal ranges into electrical signals that are transported to the brain for interpretation. There are different types of nociceptors for different types of stimuli. Low-level ES confuses low threshold type Aδ nociceptors and medium level ES confuses high threshold type Aβ nociceptors into a response, that is, sending a signal to the brain. The ES is perceived as a prickling sensation cannot justifiably be described as pain (IASP, 2010). Like low and medium level ES, high-level ES causes no physical damage but the signals sent to the brain are perceived as pain so a high level ES can therefore justifiably be described as a painful and emotionally distressing event. The pain sensation following high-level ES is described as physiological pain because it is not associated with any tissue damage. The physiological pain of high-level ES occurs because of the inclusion of type C nociceptor stimulation. Pathological pain which follows tissue damage as a result of accidents or surgery is intense and can be very persistent unlike physiological pain. (Electronic RT in Perspective – David Chamberlain BVetMed., MRCVS.). The difference?…Electric shock is the sudden application of electric current to a living organism with sufficient strength and duration to produce a convulsive or thermal effect (IEC) with injurious exposure consequences (Reilly 1998). Typically electronic shocks occur when mains electricity accidentally travels through an animal’s or human’s body to earth. This is a completely different effect of what is distributed via an electronic training collar. Transcutaneous electrical nerve stimulation has no injurious effects, cannot “burn skin” and do not act as “electric shocks” to the epidermis. Recently the Companion Animal Welfare Council published a literature review of electronic collar studies (CAWC 2012) in which it avoided the use of the term ‘shock’ because it was associated with biased personal opinion and emotional connotations. In a very recent independent study into the characteristics of electronic collars the term shock, electric shock or electrocution were not used by the authors when describing the characteristics of electronic collars (Lines et al., 2013). The term ‘shock’ also implies a certain magnitude of discharged electrical energy, which is not a characteristic of modern electronic collars (Lindsay 2005). Electronic collars have been commercially available since the 1970’s and these original devices were relatively primitive. These historic collars did deliver quite substantial currents hence the coining of the term ‘shock’. 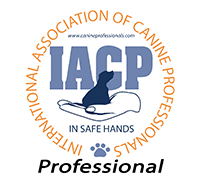 However this is not a term, which is appropriate to associate with modern electronic collars as the devices have evolved along with understanding of how animal’s learn to be much milder and more effective systems (CAWC 2012). On many websites concerning animal welfare consequences of electronic collars, there are multiple uses of the words “shock collars” when describing electronic training collars. These websites often use such words to enhance their position on why not to use electronic collars. Often the written material deals in absolutes and frame the use of an electronic collar such that it “will” cause harmful effects such as “burning skin” and “convulsions”, “detrimental behavioural distress” and that the electronic training collars are “ineffective” overall. These descriptions are completely untrue and have been proven scientifically to be false. Overall, these descriptions and characterisations being false are libellous and should be carefully considered before being used (Orion v RSPCA Vic). The RSPCA website details clearly its philosophy and opinion on electronic collars by opposing the use of the devices with a strong concern of misuse more so than the devices themselves. The word “shock” is still used, but far more conservatively than in recent years, likely largely due to a court case that ruled against the RSPCA due to inaccurate and misleading information regarding electronic collars (Orion v RSPCA Vic). Presumably, if electronic pet containment products are inflicting the harmful effects various groups would like to propagandise (Orion v RSPCA Vic), there would be epidemic proportions of pets ending up in veterinary clinics and quantified cases of lawsuits as direct results of the use of such devices. Most anti-collar propaganda is both inaccurate and opinion only. Research investigating the effectiveness of electronic dog fences and electronic training collars has shown repeatedly that the devices do not cause injury and when used with understanding of operant training principles, are very effective teaching tools. Electronic collars were created to enhance animal welfare by maximising clarity and speed of an animals incentive learning. Over and over they have proven to be effective tools when other techniques or protocols have failed. The welfare benefits of them need to be considered as some organisations object to them on welfare grounds. These objections are philosophical only. Companion Animal Welfare Council (CAWC) (2012), The Use of Electric Pulse Training Aids (EPTAs) in Companion Animals. International Electrotechnical Commission (IEC) is the world’s leading organisation that prepares and publishes International Standards for all electrical, electronic and related technologies. Lines J. A., van Driel K., Cooper J. J. (2013) The characteristics of electronic training collars for dogs, The Veterinary Record, January 13, 2013. Reilly, J, P. Applied Bioelectricity: from electrical stimulation to electropathology, New York: Springer, 1998.